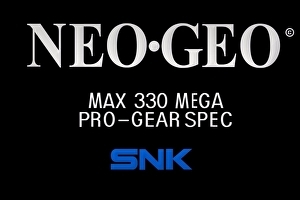 One of the greatest names in 90s coming is coming back, with SNK Playmore announcing its changing its name to SNK Corporation from December 1st. It’s part of a concerted effort for the Osaka-based company to return to its roots, with the company readopting its original logo and slogan ‘The Future is Now’ back in April this year. Frame the rivalries between Japanese fighting game series as a pugilistic tournament and, for the past few years, Capcom’s Street Fighter has held its title unchallenged. The field wasn’t always so uncontested. 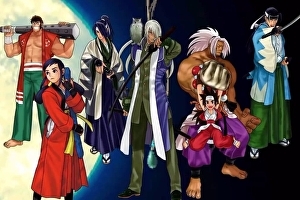 Throughout the 1990s SNK’s King of Fighters ably faced Street Fighter, pitting its forte – technical intricacy – against that of the latter – an iconic cast. It was a rivalry worthy of myth: both games were originated by the same man, Takashi Nishiyama, who, having designed the original Street Fighter at Capcom, left (under a dark cloud, some say) to run SNK’s development division. In a final, fanciful twist Nishiyama went on to found Dimps, the company responsible for Street Fighter’s triumphant return in 2008. Like a prizefighter falling from the wagon, King of Fighters tumbled into relative obscurity in the early 2000s, a victim, in part, of SNK’s tumultuous corporate wrangling. Street Fighter’s renaissance was left largely unchallenged. In video games, as in government, one can never underestimate the value of strong opposition; without it, complacency sets in and the urge to deliver deadens – here’s looking at you, Street Fighter 5. 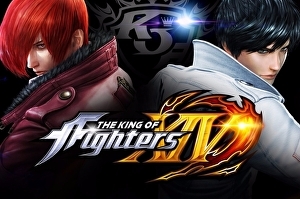 So it is that King of Fighters 14 makes a return that’s welcome not only for reviving a beloved series, but also to diversify the field. For beginners, the greatest difference between King of Fighters and its rivals is that this is three vs three game, although, unlike in Marvel vs Capcom your chosen trio cannot tag in and out during rounds. Knock-out one of the opponent’s characters and, when their replacement arrives, you gain some health back, the amount of which is dependent on how much time was left on the clock when the previous round ended (a mechanic that’s never explained). In the event of a draw, both characters are deemed to have lost, and each player must move on to the next character in line. The aim, as ever, is to be the last player standing.